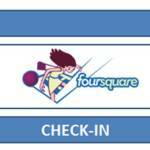 Home/Social Media Facebook /Checking In: Foursquare, the new Facebook locations and why it doesn’t go far enough. Some articles floated around this week that said that Foursquare and Gowalla had won a major victory with the death of Facebook Places. There are two very good reasons why this isn’t true. One, Facebook Places isn’t dead. Check-ins will still remain. The second one? Well that takes a bit more explaining. I’ll get to that, I promise. 1) Deals — For where I live, these deals are far and few between. As long as I’ve been checking into Foursquare (since May 2010), I’ve only been able to take advantage of 2 deals. That’s pretty terrible. Maybe it’s my area, maybe it’s just the places I go to, or maybe because lots of businesses aren’t doing them yet. Maybe all of those reasons. Either way, it offers very little in the way of real incentives. 3) Badges — I haven’t gotten a badge in at least 6 months. Once you actually get one it shows up on your profile. It’s a neat idea but their difficulty level makes it hard to get excited. Plus I’m still upset I haven’t gotten the douchebag badge yet. Current location based services don’t offer enough value to make them sustainable over the long term. Facebook has realized the flaws with Foursquare and Gowalla. So what is Facebook doing about it? First they are going to allow you to add your location to your status updates. This is big because you can do it without a mobile phone, which up until now, has been the only way you’ve been able to. Here’s my idea about the next evolution for location based services. Say I want to go out to dinner tonight somewhere in Annapolis, MD. On Facebook I’d type: “Where can I go to ^eat wings in +Annapolis?” In this example the ^ would work similar to friend tagging (using @) to choose what they are looking for. Because Facebook knows your location, any business within a customizable radius would be able to comment on your post giving you feedback. In this case Dill Pickles would comment: “Dill Pickles is running a special on wings tonight!” Because they posted, now anyone who has a decent (customizable) check-in total to Dill Pickles would then be able to comment as well (they would receive notifications) and give their opinion on their wings. Friends who have no clue even where Annapolis is can jump into the conversation and say “Bill…uhh.. didn’t you have wings yesterday? Remember your long trip to the bathroom? How about a salad instead?” Now you can adjust what you want and repeat the process over. What would location based services like this accomplish? 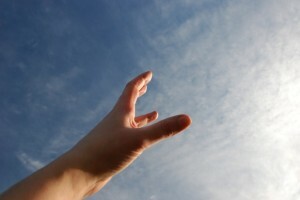 First, businesses would have a great way to reach out to prospective customers (or current ones). Socially I think it works because you’re able to come in contact with people you’ve never met before and might be able to or communicate with your current friends. It would keep businesses in check because they’re main goal is turning customers into brand advocates. Give them bad service and they will be the first people to tell others not to bother. Facebook has been testing real time ad targeting in conversations so my concept isn’t that far fetched. What do you think? What do you think of the Facebook shift? 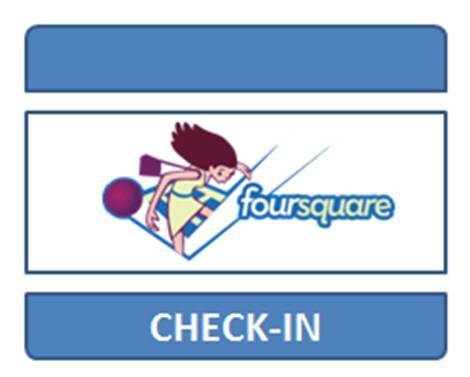 How often do you use Foursquare? Do you find relevance in it? Let’s talk about it in the comments.